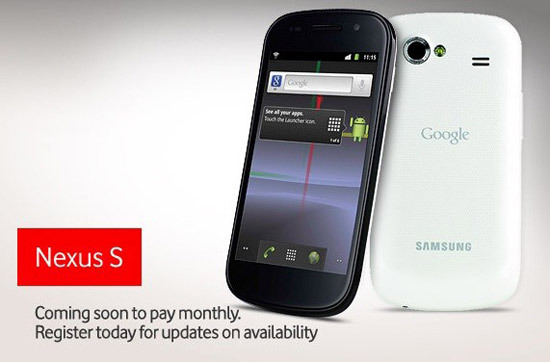 Vodafone has recently announced that they are going to launch Google Nexus S in 24 countries. The name of those 24 countries have not been revealed yet. This is really a good news for all the fans of Nexus S (including me) who are eagerly waiting for its launch in their own country. Both black and white variants of the device will be available with Vodafone. Google Nexus S is the first handset in the world which is powered by latest version of Android which is called as Gingerbread. The handset is currently available only in two countries US and UK. Google Nexus S comes with Super AMOLED display but the model that Vodafone is going to provide may not use the Super AMOLED display, it will instead come with the Super Clear LCD display. The price of the handset is also not announced yet. waooo!! This is soo cool, I’ve been waiting for this. Can you give some specification about the price and rest details. Thought of getting the Nexus S first. Later changed my mind. What made you change your mind Bimal ? Already had Android with me. So could just install a custom gingerbread ROM instead of getting that phone to test gingerbread. Also, many better options were available instead of it. Wow..This is indeed cool..can you please update the post when you get to know more details about this? ?will be helpful for many people like me who are unaware about the launch..